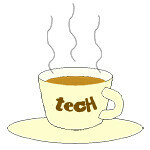 Nikon « Tech bytes for tea? Nikon has launched the D5 and D500 DSLR cameras in Singapore. Both will hit the shelves here end April. Prices TBA. The Nikon D500 is now available in Singapore. RRP below. Nikon D500 (body only): S$2,999. Nikon D500 (16-80mm VR) kit: S$3,999. The Nikon D5 and D500 side-by-side in Singapore, at the launch at Aura in National Gallery, Singapore. The D5 is the new flagship DSLR camera from Nikon, which was unveiled during CES 2016 back in January this year. The 20.5-megapixel Nikon-FX format full frame DSLR sports a 153-point AF system, 12 fps continuous shooting, a new CMOS sensor, and a new EXPEED 5 image-processing engine. The D5 is the first Nikon to come with highest standard ISO sensitivity at 102,400, and the ability to shoot 4K UHD (3840 x 2160) movies. The D500 is Nikon’s top DX-format DSLR, offering the performance of the D5 in a compact, lightweight body. The D500 incorporates the same powerful 153-point AF system and EXPEED 5 engine as the D5, boasts high-speed continuous shooting at approx. 10 fps and supports 4K UHD movies. The D500 has a wide sensitivity range from ISO 100 to 51200, expandable to Hi 5 (ISO 1,640,000 equivalent). Read more about the Nikon D5 in the earlier story here. Below are more details about the Nikon D500, extracted from the press release. Nikon has unveiled its latest flagship camera. The 20.5-megapixel Nikon-FX format full frame DSLR sports a 153-point AF system, 12 fps continuous shooting, a new CMOS sensor, and a new EXPEED 5 image-processing engine. US$6,496.95 on Amazon, released from 15 March, 2016. Price & availability in Singapore TBA. The FX-format full frame D5 DSLR is Nikon’s latest flagship camera. The D5 is the first Nikon to come with highest standard ISO sensitivity at 102400, and the ability to shoot 4K UHD (3840 x 2160) movies. The Wireless Transmitter WT-6, available separately, comes handy for high-speed wireless network communications. A high-resolution 2.3-inch touch screen 2,359-dot LCD monitor, fast communications with both wired networks via built-in Ethernet connector and wireless networks, alongside double memory card slots make for a highly efficient workflow. Contributing to greater autofocus (AF), auto exposure (AE) and auto white balance (AWB), is the incorporation of a new 180K-pixel RGB sensor for the Advanced Scene Recognition System. The D5 consumes less power, adopts a highly precise and durable shutter, and has increased camera reliability in terms of control precision, strength and durability. The D5 also supports the new Nikon Creative Lighting System functions, Radio-controlled Advanced Wireless Lighting (AWL) and Unified Flash Control. The Nikon D7200 DSLR and COOLPIX P900 compact zoom camera will be available in Singapore by end March, 2015. Prices TBA. The ViewNX-i will be available for free download beginning 17 March. The Nikon D7200 will be available by end March 2015 with the AF-S DX 18-105mm f/3.5-5.6G ED VR lens, or AF-S DX 18-140mm f/3.5-5.6G ED VR lens, or with the body-only configuration. Nikon has announced two new cameras and new image-browsing software. The DX-format D7200 DSLR offers enthusiasts features for low-light photography, social connectivity and Full HD videos. The 24.2-megapixel DSLR comes with EXPEED 4 image-processing engine and CMOS sensor. The 51-point autofocus (AF) sensor module is also utilised by the Nikon D750, and has an AF detection range down to -3EV for low-light photography. Standard ISO ranges from 100 to 25600, extendable to ISO 102400. There is built-in Wi-Fi connectivity and it is the first Nikon DSLR to feature Near Field Communication (NFC)-support (for NFC-compatible Android smartphones and tablets with Android 4.0 or later). Nikon Singapore has released its Spring 2015 COOLPIX cameras. The COOLPIX S2900 and L31 will be available in late January while the COOLPIX 3700 will be available in February. Prices TBA. The latest COOLPIX series brings a range of stylish and slim cameras to fit the lifestyle and pocket of the trendy youth. Colours available for the three models. “The Spring COOLPIX packs the best high-performance features in compact cameras. From built-in Wi-Fi and NFC support, to autofocusing and HD movie recording, there is definitely a COOLPIX for every user,” said Garland Mak, Deputy General Manager of International Marketing Division Imaging Group, Nikon Singapore. The Nikon COOLPIX L31 will be available in 3 colours (Black, Silver, Red) in Singapore (excluding decorative purple). The Nikon COOLPIX S2900 will be available in 4 colours (Purple, Black, Silver, Red) in Singapore (excluding decorative purple). The Nikon COOLPIX S3700 will be available in 5 colours (Pink, Blue, Red, Silver, Black) in Singapore (excluding decorative blue). Nikon has introduced the 24.2-megapixel DX-format Nikon D5500, as well as the AF-S DX NIKKOR 55-200MM F4-5.6G ED VR II and AF-S NIKKOR 300mm F/4E PF ED VR lenses. Available in February 2015, prices TBA. The Nikon D5500 is available in classic black and chic red colour kits. Nikon claims that the D5500 is “the world’s smallest, lightest and slimmest DSLR”. It comes with built-in wireless connectivity and touch-screen. The FX-format AF-S NIKKOR 300mm F/4E PF ED VR incorporates Nikon’s Phase Fresnel (PF) lens element for the first time in NIKKOR lenses, resulting in a light 755 grams. The AF-S DX NIKKOR 55-200MM F4-5.6G ED VR II (bottom) and AF-S NIKKOR 300mm F/4E PF ED VR (top) lenses. A little wild yellow flower in the old city of Jakobstad (also known as Pietarsaari in Finnish) on the coast of Finland. June 2011. Taken with a Nikon D600 with 24-120mm lens. Photo credit: John Tan. Here’s wishing everyone a fantastic year ahead in 2015. Nikon launched in Singapore today a new DSLR, a compact shooter, a 20mm prime lens and a flash. Price and availability TBA. The Nikon COOLPIX S6900 (Black, White & Pink) is now available in Singapore, at a recommended retail price of S$419. Nikon has announced the pricing information below. Available now. The Nikon D750 (body only) is now available in Singapore for S$3,079. The D750 Kit will be available in November 2014. For every Nikon D750 (body only) purchased from 24 September 2014 to 5 October 2014, customers will be entitled to redeem a free 32GB SanDisk Connect Wireless Media Drive (worth S$139). Redemption is available from 3–5 October 2014, from 11am–7pm at Funan DigitaLife Mall, in conjunction with the upcoming I AM FULL FREEDOM Nikon consumer event. Nikon COOLPIX S6900 (left) and Nikon D750 (right). The highlight of the launch is the D750, a “successor” for the aged D700 that sits between the D610 and the D810. The full-frame D750 is Nikon’s smallest and lightest FX-format camera and will be available in September 2014. It ships with built-in Wi-Fi, vertical-tilting monitor, 24.3 megapixels, 91K-pixel RGB sensor, and high-speed continuous shooting rate of approximately 6.5 frames per second for both FX- and DX- format, all fitted into a slim and durable body. The FX-format CMOS sensor and EXPEED 4 image-processing engine are packed into a monocoque structure framed by carbon fiber composite material (new material), and magnesium alloy to provide nimble durability. The new 36.3-megapixel D810 caters to both enthusiasts and professionals. It now records Full HD (1080p60) video and offers a wide ISO range from ISO 64 to ISO 12800 (expandable to ISO 32 to ISO 51200). Hits the shelves in late July. Singapore price TBA. US price US$3299.95. The new Nikon D810, before we got our hands on it. The Nikon D810 was officially launched in Singapore today at the Altimate lounge club in 1-Altitude at Raffles Place. The DSLR will be available at S$4,888 (body only) from 17 July onwards. The new Nikon D810 will be available in Singapore in late July. The FX-format D810 replaces the D800 and D800E and does away with the OLPF (optical low-pass filter) in its 36.3-megapixel (7360 x 4912) CMOS sensor. The Nikon D810 is powered by EXPEED 4 engine. It features the EXPEED 4 engine from the D4s to give a bigger ISO range, better image quality and metering and faster burst speed. The Nikon D810 ships with an electronic first-curtain shutter option, has a redesigned mirror mechanism to reduce vibration, and includes Auto ISO in manual mode. For video, it can relay uncompressed HDMI output to an external recorder with simultaneous video display on the camera’s rear LCD display and external LCD monitor, while recording to the internal card (compressed). It’s Valentine’s Day today. This year, it coincides with Chap Goh Meh – the fifteenth and final day of the Chinese New Year – which many consider the Chinese Valentine’s Day. Here’s wishing all lovers a most romantic day/night! Lots of lovey-dovey couples here, in the form of hugging salt and pepper bottles. I took this photo at the Hakaniemi Market Hall in Helsinki, Finland in summer. There were plenty of such charming craft stores for tourists and local Finns alike. Taken with a Nikon D600 with AF-S NIKKOR 24-120mm f/4G ED VR lens. Photo credit: John Tan. In many places in the world that celebrate Valentine’s Day, boys buy flowers, chocolates and gifts for their girlfriends, wives, mistresses or lovers. Actually, marketing practitioners should examine this so-called unique Japanese culture more closely. Apparently, the practice has its roots in 1936 as part of the advertising campaign of chocolate makers in Kobe, but has captured the imagination of the Japanese populace such that it is widely practiced today. Those chocolate makers must have been laughing to the bank, having created nation wide, recurring demand out of thin air. In Japan, it is the girl who buys for the guys. I know – because I received plenty on Valentine’s Day when I was in Japan. The tradition in Japan is for girls to buy white chocolates (called giri-chocos – 義理チョコ) and give them to the guys. This does not happen just between couples that are in a relationship.